There are some things in life about which one can be utterly certain. One of them is the fact that the Earth is considerably older than 6000 years, being around 4.5 billion years old, give or take a few tens of millions of years. Therefore, YEC, irrespective of what its advocates think the Bible says is automatically wrong. It is based on a confused, hopelessly ignorant reading of the Bible by amateurs utterly devoid of illumination from the ancient Near Eastern context of the creation narratives, and made in defiance of an avalanche of evidence which confirms beyond doubt the reality of an ancient Earth. Almost all YECs are dimly aware that radiometric dating is cited by mainstream science as providing evidence for an ancient Earth, but almost always are completely unaware of the actual science behind the method, as well as the fact that the great antiquity of the Earth was accepted by mainstream science well before the discovery of radioactivity and the science of geochronology which developed from it and which confirmed spectacularly the relative dating methods used by 19th century geologists. The truth is that there are many methods which confirm the reality of an ancient Earth and an even more ancient universe. An excellent summary of the evidence for an ancient Earth and ancient Universe is at RationalWiki and is reproduced below the fold. The evidence against a recent creation is overwhelming. There is perhaps no greater attack upon science and rational thought than the doctrine of a recent creation of the planet Earth and/or the universe. This article collects known evidence that places a minimum age of the Earth beyond the usual 6,000 years quoted by Young Earth creationists (YECs). Deep time is the idea, held to be credible by natural researchers since the early 19th century, that the Earth is millions or billions of years old, rather than the few thousand of young earth creationism. The accepted age of the Earth is about 4.54 billion years, while the entire universe is around 13.77 billion years. These ages weren't just made up. They were devised from a range of experiments and observations made across multiple disciplines of science such as astronomy, geology, biology, palaeontology, chemistry, geomorphology and physics. They have been revised several times based on new evidence, but never to the degree of the many orders of magnitude required to bring them in line with Biblical literalism. YECs, however, ignore these experiments and evidence in favor of pseudoscience and their biblically based view that the world was created by magic. Amino acid racemization dating is a technique that is used to date fossilized objects up to several million years in age. The naturally occurring amino acid molecules usually possess a carbon centre with four different groups joining it; a hydrogen atom, the amino group, the acid group (hence the name of the class of molecule) and a side chain, which is what distinguishes amino acids. In three dimensional space, such a molecular topology can occupy one of two configurations. Convention labels these as D or L, which are referred to as stereoisomers and are essentially mirror images of each other. The ratio of these two isomers is initially unequal. With only one exception, naturally occurring amino acids used in polypeptide synthesis are in the L form. Over time this will decay to a more balanced state in a process called racemization, where the ratio between L and D stereoisomers will be equal (a racemic mixture). While it is true that there can be great variability on the rate at which amino acids undergo racemization, the changes in humidity, temperature, and acidity required to make the oldest known samples conform to a young earth (under 6000 years) view are completely unreasonable. Such conditions would destroy all traces of the amino acids rather than just leave a racemic mixture of the molecules behind. Dendrochronology is a method of dating based on annual tree growth patterns called tree rings. Tree rings are the result of changes in the tree's growth speed over the year, because trees (in normal conditions) grow faster in the summer and slower in the winter. 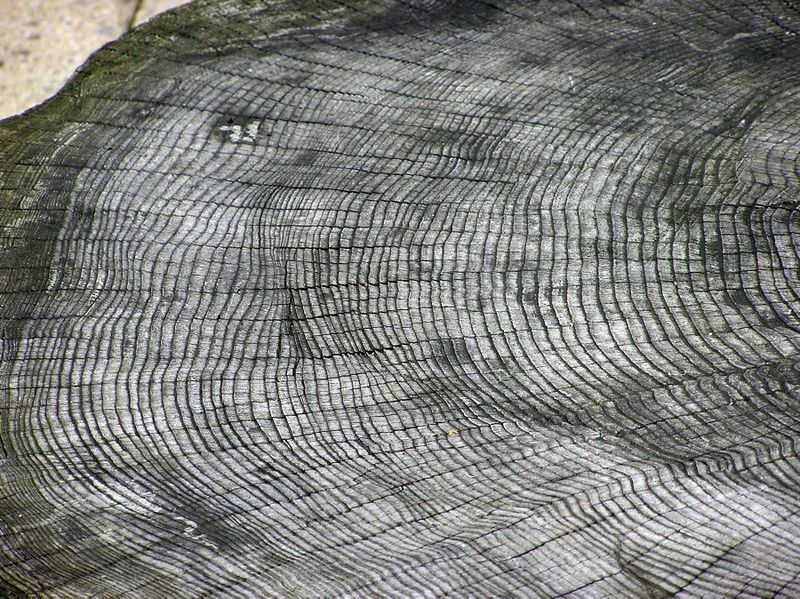 Thus, a tree's age can be found by counting the rings. Dendrochronology is the only method on this list that can date events precisely to a single year. 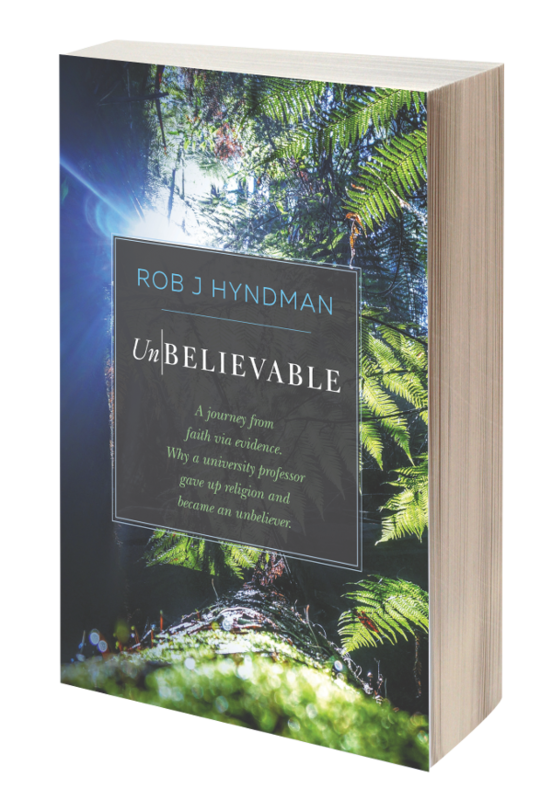 Now, any date derived from one individual tree is not in itself contradictory to the recent creation doctrine, since even the oldest trees aren't much older than 5,000 years or so. (However, it would make a global flood impossible.) However, it is possible to extend the chronology back over many different trees. This is done by taking the matching up living tree rings with dead tree rings, which go on longer than the living rings. Because the thickness of tree rings varies with the climate, a sequence of thick ring, thin ring, thin ring, thick ring, thick ring, thick ring, thin ring, thick ring is strong evidence that the corresponding rings formed at the same time. By observing and analyzing the rings of many different trees from the same area, including fossil trees, the tree ring chronology has been pushed back in some areas as far as 11,700 years. The fact that distant starlight can be seen from Earth has always been a major problem for the young Earth idea. Because the speed of light is finite, what you are actually seeing when you look at an object is an image of that object from the past. "From the past" here has a few caveats regarding the relativity of our concept of the past, the future, and now. In the BBC Horizon program What Time Is It? physicist and former pop-synth player Brian Cox suggested that, as information cannot travel faster than light, and that time and space are relative, it can be considered that that the stars actually are what they look like "now", in a manner of speaking. Either way, though, the bottom line is still the same; the light has travelled a certain distance, for a certain time, before arriving on Earth to be seen by our eyes or telescopes. We can use this data to put a minimum time on the existence of the universe, by looking at how long some light has been travelling for. On Earth, the delay caused by the speed of light is incredibly minor — when you look at an object a mile away, the light has been travelling for five microseconds. When you look at the Sun, you are seeing light that has been in transit for 8.3 minutes. It's more noticeable with sound and distant objects, but only because the light from things such as distant explosions or jet fighters is so much faster. There's still a delay and transit time for the information that says whatever made the light/sound must have been around that long ago to produce it. On the cosmic scale of things, this delay is far from minor and really is noticeable. When astronomers look at the closest star to Earth (Alpha Centauri), which is roughly four light years away, they are seeing the star as it was four years ago from our perspective. When astronomers look at objects in the region of space known as the "Hubble ultra deep field", they are seeing the stars there as they were over ten billion years ago. Light we are receiving from these fields has been travelling for ten billion years, and the universe must have, therefore, existed long enough for that transit time to take place. There are a few creationist "zingers" to solve this problem, but are almost exclusively centred around pretending the problem doesn't exist. One is omphalism, which suggests the light was already in place and on its way 6,000 years ago, which is basically like saying that "6,000 years ago, the world was created 14 billion years ago", which is a form of Last Thursdayism. They also like time dilation fields and changing the speed of light, but this requires a lot of Goddidit to make it work, as there is zero evidence for why the speed of light should change. There are a lot of issues surrounding changing fundamental physical constants such as c, namely that according to E=mc2, increasing c to make the world 6,000 years old would lead to normal radioactive decay blowing the planet up. Qualified astrophysicist Jason Lisle came up with the "anisotropic synchrony convention", which exploits how to reliably measure of the speed of light, but suffers from special pleading in that it assumes a highly unlikely physical reality deriving from a mathematical quirk is literally true - and there is no additional evidence for such a thing. Many places on Earth show evidence of erosion taking place over very long time periods. The Grand Canyon, for instance, would have taken millions of years to form using the normal rate of erosion seen in water. Nevertheless, Young Earthers insist it was cut in a few years following the Great Flood - but in order for this to happen the rocks of the Kaibab Plateau would have needed to have the solubility of granulated sugar, rather than the more solid stone that it's made of. VenomFangX of YouTube claimed that the Grand Canyon would have formed in about "5 minutes", which at the very least would require the water to travel 5-6 times the speed of sound. In the case of the Yakima River in Washington State between Ellensburg and Yakima, the river meanders with many oxbows typical of a slow-moving river on a plain, yet it is set within a deep canyon with visible layers of erosion. The only possible explanation is that the pre-existing river maintained its original bed as slow tectonic forces caused the surrounding land to rise underneath and around it. Fission track dating is a radiometric dating technique that can be used to determine the age of crystalline materials that contain uranium. As uranium decays, it sends out atomic fragments, which leave scars or "fission tracks" in crystalline structures. Because decaying uranium emits fragments at a constant rate, the number of fission tracks correlates to the age of the object. This method is generally held to be accurate, as it shows a high degree of concordance with other methods such as potassium-argon dating. A geomagnetic reversal is a change in the polarity of the Earth's magnetic field. The frequency at which these reversals occur varies greatly, but they usually happen once every 50,000 to 800,000 years, and generally take thousands of years. This fact is obviously inconsistent with the notion of a young Earth; around 171 reversals are geologically documented, which would make the Earth at least 8.5 million years old. The composition of the Sun changes as it ages. The differing composition changes the way sound waves behave inside the Sun. Using helioseismic methods (models of pressure waves in the sun), the age of the Sun can be inferred. Using this method, an Italian team came up with an age of 4.57 +/- 0.11 billion years. The Y-chromosome, unlike most DNA, is inherited only from the father, which means that all DNA on the human Y chromosome comes from a single person. This does not mean that there was only one person alive at that time, but that a single man's Y-chromosomal DNA has out-competed the other strains and is now - not taking into account smaller and less drastic mutations - the only one left. Because the only factor affecting the makeup of the DNA on the chromosome is mutation, measuring mutation rates and extrapolating them backwards can tell you when this man lived. The most recent calculations put this common ancestor as having lived 340,000 years ago. The number of impact craters can provide a probable lower limit on the age of the Earth. Asteroid strikes that can produce craters on the order of kilometers across are extremely infrequent occurrences; the chance of an asteroid with an Earth-crossing orbit actually striking the planet has been estimated at 2.5 x 10−9 yr−1, and when multiplied by the estimated number of Earth-crossing asteroids this approximates about one collision for every 313,000 years. If this frequency is correct, the number of impact craters on Earth were it only a few thousand years old should be very few. The most logical number of observable >1km impact craters for a young Earth would in fact be something like zero — a number that is completely at odds with the observable evidence, since over one hundred such craters have been discovered . Even if creationists were to present some scenario in which many dozens of large asteroids could hit the Earth in less than 6000 years, there are still tremendous problems with this idea. The largest asteroid impacts are some of the most catastrophic events the world has ever seen. In Antarctica there is a crater 500 km in diameter which is calculated to have been caused by an asteroid 48 km in diameter roughly 250 million years ago. How the life we see today could have survived such an incident (if it had occurred in the last 6000 years) is a serious problem for YECs; an asteroid impact that big would have led to the extinction of all medium to large size species, an event that — given the creationist model; short time frame, no evolution — the world would have never recovered from. Beryllium-10 (10Be) produced by cosmic rays shows that iron-manganese nodule growth is one of the slowest geological phenomena. It takes several million years to form one centimeter (and some are the size of potatoes). Cosmic ray produced 10Be is produced by the interactions of protons and neutrons with nitrogen and oxygen. It then reaches the earth via snow or rain. Since it is reactive, it gets absorbed by detritus material, within a timespan of about 300 years- very short compared to its half-life. Thusly, 10Be is excellent for use in dating marine sediment. Deoxyribonucleic acid (DNA), the universal carrier of genetic information, is present in all organisms while they are alive. When they die, their DNA begins to decay under the influence of hydrolysis and oxidation. The speed of this decay varies on a number of factors. Sometimes, the DNA will be gone within one century, and in other conditions, it will persist for as many as one million years. The average amount of time detectable DNA will persist though is somewhere in the middle; given physiological salt concentrations, neutral pH, and a temperature of 15 °C, it would take around 100,000 years for all the DNA in a sample to decay to undetectable levels. If fossils of the dinosaurs were less than 6,000 years old, detectable fragments of DNA should be present in a sizable percent of dinosaur fossils, especially in the Arctic and Antarctic regions where the decay of DNA can be slowed down 10-25 fold. A claim that soft tissues in a Tyrannosaurus fossil had been recovered in 2005 have since been shown to be mistaken, supporting the idea that dinosaur fossils are extremely old. Work by John W. Wells of Cornell University, New York has shown that certain pieces of extremely old coral show evidence of a growth rate which reflects a time when a year had 400 days of 22 hours each. Because the rate of change of the rotation of the Earth is relatively predictable—about 0.005 seconds per year—one can calculate the last time a year had 400 days, which was about 370 million years ago (which is also about the same as radiometric dating of the coral). The formation of permafrost (frozen ground) is a slow process. To be consistent with the young earth creationist model, which states that all sediment was deposited by the global flood, there would have to be absolutely no permafrost present at the end of the flood, because any permafrost that was present at the moment of creation would have been melted during the flood. Because earth is a good insulator and permafrost forms downward from the surface, it would have taken much more than the few thousand years allotted by creation theory to produce some of the deepest permafrost. In the Prudhoe Bay oil fields of Alaska, the permafrost which extends over 600 meters into the ground is believed to have taken over 225,000 years to reach present depth. However, the most frequently used method of attack is to give examples of objects of known ages that were dated incorrectly. These instances are by far the exception rather than the rule and are usually due to unforeseen contamination or other errors that can be quickly identified and compensated for. This is not "cheating" and forcing results to conform to expectations as many young earth creationists may claim, it is making the data as accurate and precise as possible (if it is "cheating" then cleaning your camera lens to get a better and clearer picture is also cheating). For example, the quasar PKS 1127-145 has a relativistic jet exceeding one million light years in length. Because the speed of light cannot be exceeded, this column must be over one million years old. Moreover, these jets are generally billions of light years from Earth, meaning they were at least a million years old several billion years ago due, again, to the speed of light. Rock varnish is a coating that will form on exposed surface rocks. The varnish is formed as airborne dust accumulates on rock surfaces. This process is extremely slow; between 4 μm and 40 μm of material forms on the rock every thousand years, and instances of 40 μm of accumulation are very rare. Because the rate of accumulation is generally constant, measuring the depth of the varnish can provide dates for objects up to 250,000 years old. Fossils of dead plankton that layer on the ocean floor is used to gauge temperatures from the past, based on the chemical changes of Crenarchaeota, a primitive phylum of microbe. Much like ice layering and dendrochronology, researchers drill through the ocean floor to extract samples which indicate annual temperature fluctuations in the plankton fossils, or "chemical rings" as it were. A 2004 pioneering expedition to the Arctic Ocean near the North Pole collected samples dating back to over 56 million years of temperature dating. The varve thickness in the Green River formation correlates with both the 11 year sunspot cycle and the 21 thousand year orbital cycle of the earth. 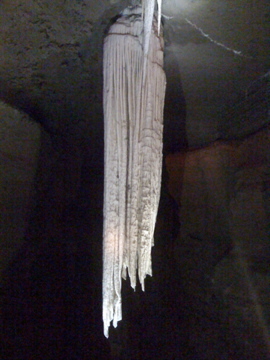 A stalactite is a mineral deposit that is usually - though not exclusively - found in limestone caves. They are formed on the ceilings of caverns by the slow deposition of calcium carbonate and other minerals as they drip, in solution, over the stalactite. These formations take extremely lengthy periods to form; the average growth rate is not much more than 0.1 mm per year (10 centimetres (4 inches!) per thousand years). With such a slow rate of formation, if the earth was less than ten thousand years old we would expect to see the largest stalactites being not much longer than one metre. In fact stalactites frequently reach from the ceiling to the floor of large caverns. 101 evidences for a young age of the earth and the universe - a "side by side" rebuttal. ▪ Chris Stassen (1996). "The Age of the Earth". 1. Note: The formation of an entire planet is a process spanning millions of years. Suggesting the earth is 4.54 billion years old does not imply a sudden point of creation - merely that the process that formed the planet began around that time. 2. Kevin R. Henke. "Young-Earth Creationist 'Dating' of a Mt. St. Helens Dacite: The Failure of Austin and Swenson to Recognize Obviously Ancient Minerals". No Answers in Genesis. 3. Michael D. Petraglia, Ravi Korisettar (1998). Early Human Behaviour in Global Context. Routledge Education. Page 63. ISBN 0415117631. 4. Sherriff, Lucy (September 6, 2007). "Dino-killing asteroid traced back 160m years". The Register. 5. Plotner, Tammy (2011). "Did Asteroid Baptistina Kill the Dinosaurs? Think other WISE..." Universe Today. 6. Laurie R. Godfrey (1983). "Scientists Confront Creationism". W. W. Norton & Company, Canada. Pages 35-36. ISBN 0393301540. 8. Manz, Lorraine. "In-situ Cosmogenic Nuclides: Their Role in Studying the Age and Evolution of Landscapes, or what "as old as the hills" really means". Accessed January 21, 2007. 9. Mark Isaak (2004). "Claim CG010"(TalkOrigins). Accessed November 6, 2007. 13. "Fission track"(Minnesota state university). Retrieved on September 30, 2007. 14. Johns, Warren H. (1977). 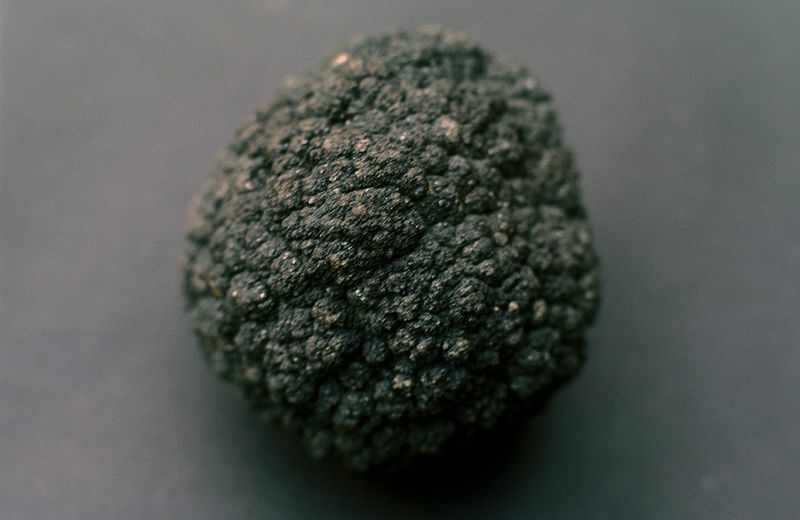 "THE IMPACT OF TEKTITES UPON AN ESTIMATED 700,000 YEAR HISTORY OF DEEP-SEA DEPOSITS"(Geoscience Research Institute). Retrieved on September 30, 2007. 15. "Geomagnetic reversal" (2007, August 26), from Wikipedia, The Free Encyclopedia. Retrieved 07:37, October 6, 2007. 16. A. Bonanno1, H. Schlatt, and L. Patern. "The age of the Sun and the relativistic corrections in the EOS". Accessed January 12, 2007. 18. Matt Brinkman (1995). "Ice Core Dating"(TalkOrigins). Accessed October 8, 2007. 19. Shoemaker, Eugene M (1983). "Asteroid and comet bombardment of the earth". Annual Review of Earth and Planetary Sciences 11: 461-494. 21. Gorder, Pam F. "BIG BANG IN ANTARCTICA -- KILLER CRATER FOUND UNDER ICE"(OSU Research). Accessed October 26, 2007. 23. Michael Hofreiter, David Serre, Hendrik N. Poinar,Melanie Kuch and Svante Pääbo (2001). "ANCIENT DNA" Accessed November 22, 2007. 24. Leesem, Don (March 24, 2005). Scientists recover T. rex soft tissue Accessed August 22, 2008. 26. Aldhous, Peter (18 May 1996). Dinosaur DNA fails new test of time" Accessed November 22, 2007. 27. Wells, John W. (1963). CORAL GROWTH AND GEOCHRONOMETRY. Nature 197: 948 - 950. 28. Dave E. Matson (1994-2002). "How Good Are Those Young-Earth Arguments?"(Talk.Origins). Accessed October 6, 2007. 29. "Torn Away: The Moon's Violent Birth". space.com. Accessed August 9, 2008. 31. Fermín Otálora, Angels Canals, Carlos Ayora, Roberto Villasuso, Juan Manuel García-Ruiz (2007). "Formation of natural gypsum megacrystals in Naica, Mexico". Geology 35: 327-330. 32. T. Evans, Zengdu Qi (1981). "The kinetics of the aggregation of of nitrogen atoms in diamond". Proceedings of the Royal Society, London. A 381, 159-178. 33. Douglas S. Frink (1995). APPLICATION OF THE OXIDIZABLE CARBON RATIO (OCR) DATING PROCEDURE AND ITS IMPLICATIONS FOR PEDOGENIC RESEARCH. Accessed November 2, 2007. 34. Virgil J. Lunardini (1995). "Permafrost Formation Time"(US Army Corps of Engineers). Accessed November 28, 2007. 35. Teachout, Gerald E. "PETRIFIED WOOD OF SOUTH DAKOTA"..
36. Chris Stassen (1996-2005). "The Age of the Earth"(TalkOrigins). Accessed October 9, 2007. 37. Ron Cowen (2002). 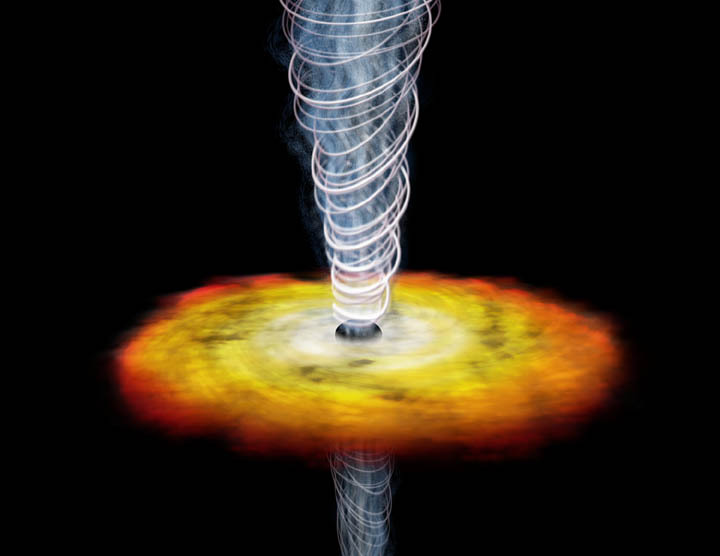 "X-Ray Universe: Quasar's jet goes the distance". Science News 161: 101. 38. Tanzhuo Liu and Wallace S. Broecker (2000). "How fast does rock varnish grow?". Geology 28: 183-186. 39. Tanzhuo Liu. "Rock Varnish Microlamination (VML) Dating"(VML Dating Lab). Accessed October 19, 2007. 41. Glenn R. Morton (2002). "Pollen Order Presents Problems for the Flood". Accessed October 17, 2007. 42. Hiroyuki Hitagawai, Johannes van Derplicht (1998). "A 40,000-YEAR VARVE CHRONOLOGY FROM LAKE SUIGETSU, JAPAN: EXTENSION OF THE C-14 CALIBRATION CURVE". Radiocarbon 40: 505-515. 43. John R. Dyni (26 June 2000). "VERIFICATION THAT GREEN RIVER VARVES ARE ANNUAL LAYERS". Accessed October 14, 2007. 45. "Thermoluminescence"(Minnesota state university). Retrieved on September 30, 2007. 46. Thomas Berger (2001). "Thermoluminescence dating"(ATOMINSTITUT). Retrieved on September 30, 2007. 47. Bryn Hubbard, Neil F. Glasser (2005). "Field Techniques in Glaciology and Glacial Geomorphology". John Wiley and Sons, United States. Page 355. ISBN 0470844264.